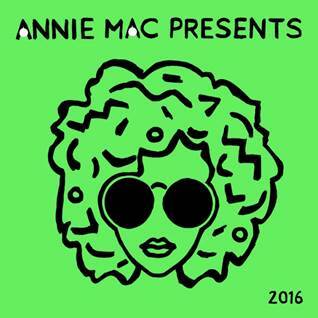 Annie Mac returns with her selection of her favourite tracks from the past year: ‘Annie Mac Presents 2016’.‎ Already at #1 on the UK iTunes chart, the AMP 2016 compilation is the seventh in the series, which have topped the iTunes album charts the past five years running. Its release comes hot on the heels of three back-to-back Annie Mac Presents All Day Raves which took place across the UK, and upfront of the forthcoming Annie Mac Presents Collected nights at The Jazz Café in London this autumn. Annie's AMP live events series has grown from humble beginnings at the small third room in London's recently closed Fabric nightclub, to apparently curating the main stages at some of the world's biggest festivals (from V Festival to Creamfields to Coachella), embarking on nationwide tours in both the UK and the US, and launching its very own 'Lost and Found' festival in Malta, now in its second year. ‎Meanwhile Annie's career as a ‎DJ and broadcaster goes from strength to strength. Now Radio 1's ambassador ‎for new music, broadcasting from Monday to Friday from 7pm across the week, Annie has probably consolidated her position in the music industry as one of its most powerful tastemakers. Apparently ‘many artists credit Annie for their first break, while labels plan their releases around her on air premieres’. Out now via Virgin EMI, the AMP 2016 compilation is split across two discs featuring a broad-ranging collection of music that Annie has been playing on radio and out at clubs, parties and festivals over the past year. Featuring Disclosure, Major Lazer, Calvin Harris, Katy B, Skepta, Christine and the Queens, Jorja Smith (to name a few), the track listing encompasses both upcoming and established artists, of varying genres, from over 10 different countries. Boasting everything from Scandinavian house through US hip hop to UK grime, her dancefloor aims to ibreak down more boundaries and prove more integrated than ever before. Check out the mini-mix below.